I wonder whether Adey could hear me screaming from Singapore when I saw her incredible nautical chic Coco? Eeeeeeeeep! Toooo cuuuuuute!!! Rachel has made not one but two Cocos (so far?) - the first out of a snuggly upcycled blanket, the second with two-tone sleeves. So creative! 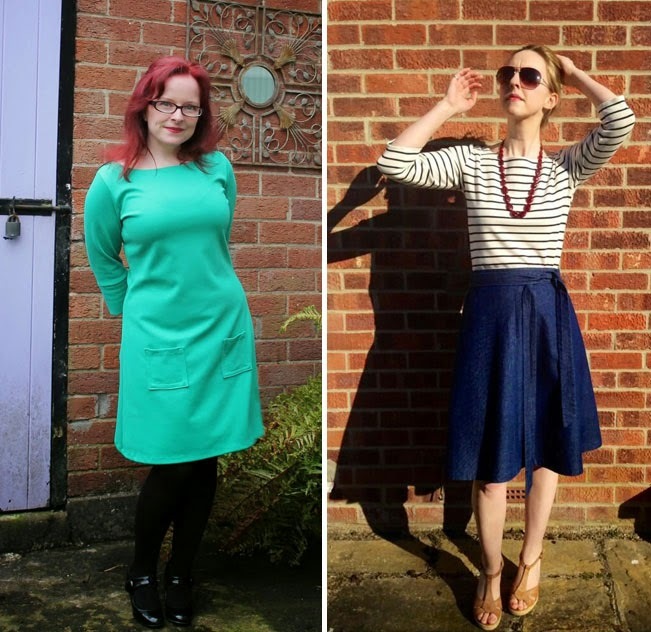 Lynne made a beautiful emerald green Ponte dress (I might just have to copy this idea). French Seams paired her classic Breton Coco with her denim Miette skirt - perfect outfit, if you ask me! I'm not the only one to try colour-blocking Coco (my version here). I love what Cheryl has done with her smart grey Coco dress. Dressing the Role made the hem and cuffs in a contrast colour - I'm itching to make one just like this, maybe in black and white. And Lauren made contrast colour pockets - this version has me dreaming of wearing short sleeved Coco dresses all summer long. But you don't have to go wild with Coco. 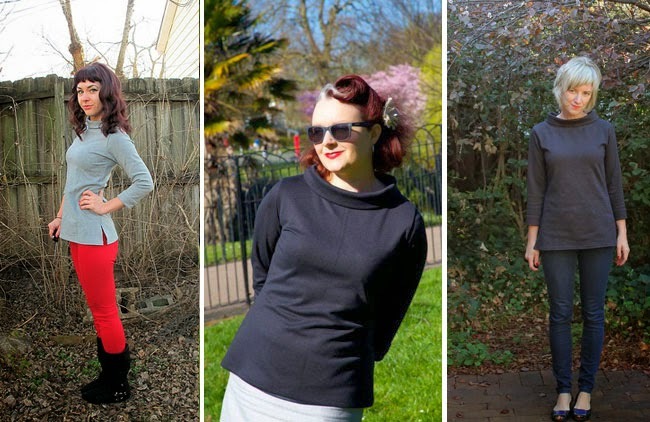 Lauren, Janene and Kirsty have all made super simple, super chic versions of the funnel neck top. Just add capris and ballet flats. Very Audrey, non? Keep them coming, y'all! There are more Cocos (and RTW ideas for Coco variations) on the Pinterest gallery. 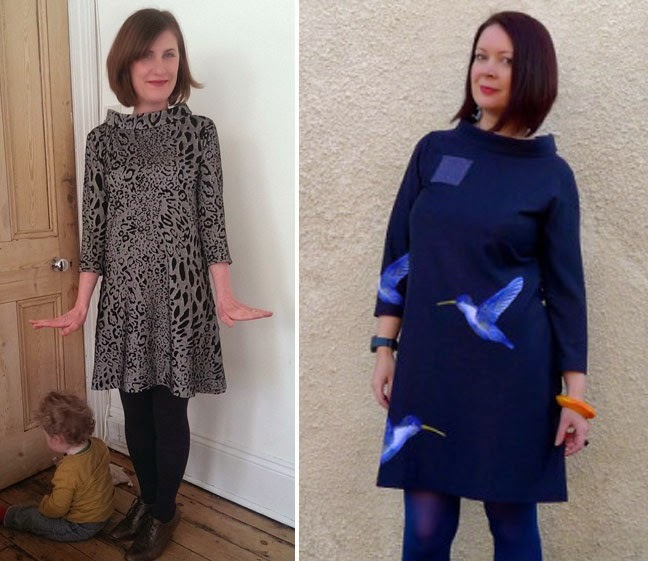 If you want to show me what you've made, you can leave a comment on the blog with a link, or you can tweet me or post to Instagram or Pinterest using the hashtag #SewingCoco.